Used to slow the turn signal flash rate to normal after installing LED Turn Signals. Does not produce heat or put a load on the system. Slimline unit with long leads for easier placement under seat. Only 1 module needed per bike. Can be used with 4 way hazards (Unlike load equalizers that use resistors). Alarm compatible with 5 Year manufacture warranty. Sealed, weather tight case. Dimensions: 4.2" x 0.6" x 1.4"
Used to slow the turn signal flash rate to normal after installing LED Turn Signals. Does not produce heat or put a load on the system. Slimline unit with long leads for easier placement under seat. Only 1 module needed per bike. Can be used with 4 way hazards (Unlike load equalizers that use resistors). Alarm compatible with 5 Year manufacture warranty. Sealed, weather tight case. 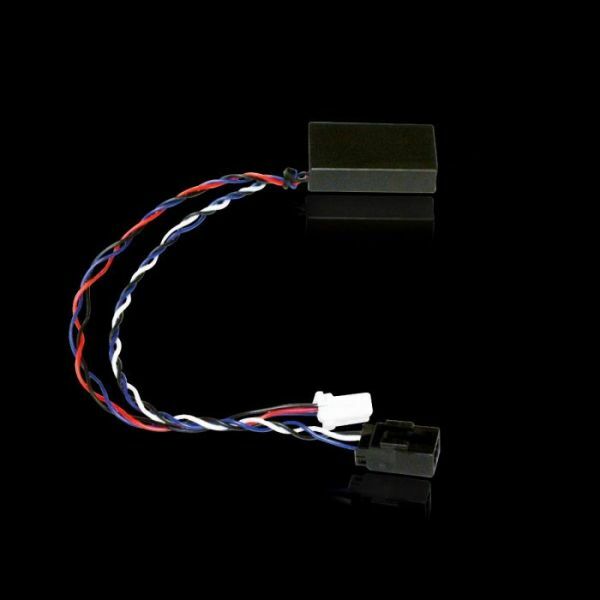 Dimensions: 4.2" x 0.6" x 1.4"
Universal Alarm Friendly Turn Signal Load Equalizer for Harley-Davidson® hardwires to the stock turn signal wires to to slow the turn signal flash rate to normal after installing LED Turn Signals. One load equalizer is needed per bike. Alarm Compatible. Caution: This load equalizer will get hot, please mount accordingly.Suggested Mounting - Under seat securely mounted to frame rail. 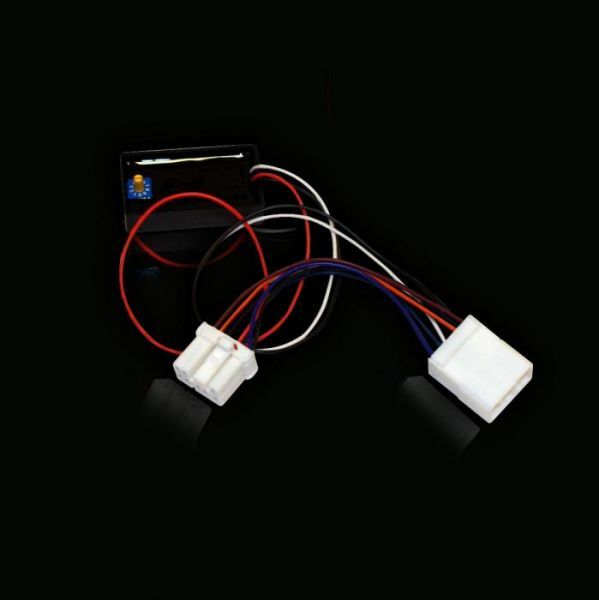 Posi-Tap™ Connectors recommended for quick connections (sold separately). Recommended for use on Harley-Davidson® models only. 2011-2017 Softail®, 2012-2017 Dyna®, 2014-2017 Touring, 2014-2017 Sportster® models do NOT require a Load Equalizer. 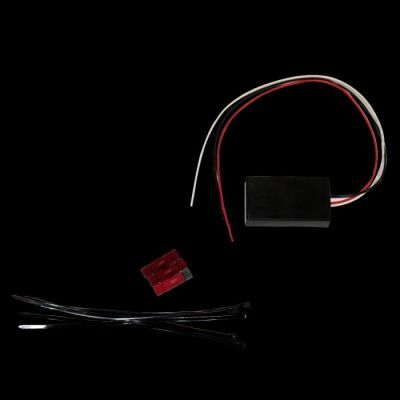 Universal 5.6 Ohm Turn Signal Load Equalizer for Harley-Davidson® hardwires to the stock turn signal wires to to slow the turn signal flash rate to normal after installing LED Turn Signals. 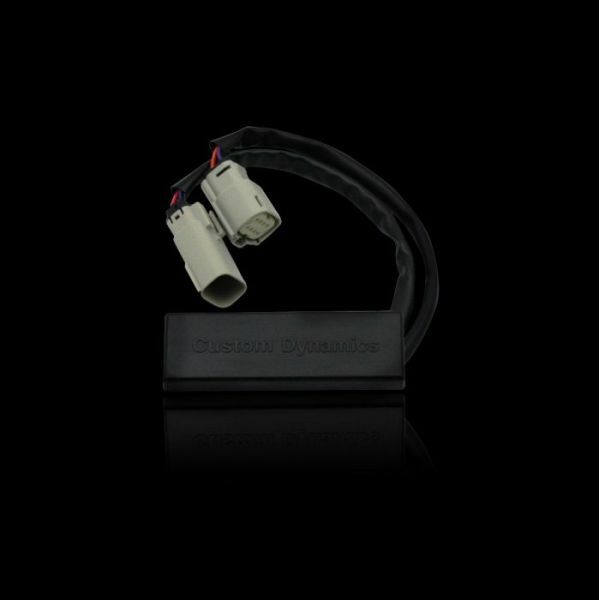 One load equalizer is typically needed for each pair of turn signals that are replaced with LEDs on most Harley-Davidson® models without an alarm.The load equalizer produces an equivalent load of a 5.6 ohms (2.5 amps @ 14VDC), therefore the unit will get hot and should not be used with four way hazards. Caution: This load equalizer will get hot, please mount accordingly. Suggested Mounting - Under seat securely mounted to frame rail. Posi-Tap® connectors included for quick installation. Recommended for use on Harley-Davidson® models without an alarm. 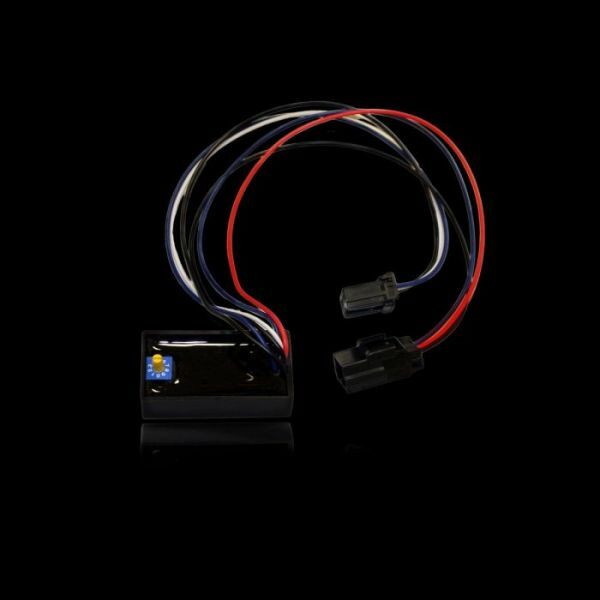 Universal 7.5 Ohm Turn Signal Load Equalizer for Metric models hardwires to the stock turn signal wires to to slow the turn signal flash rate to normal after installing LED Turn Signals. 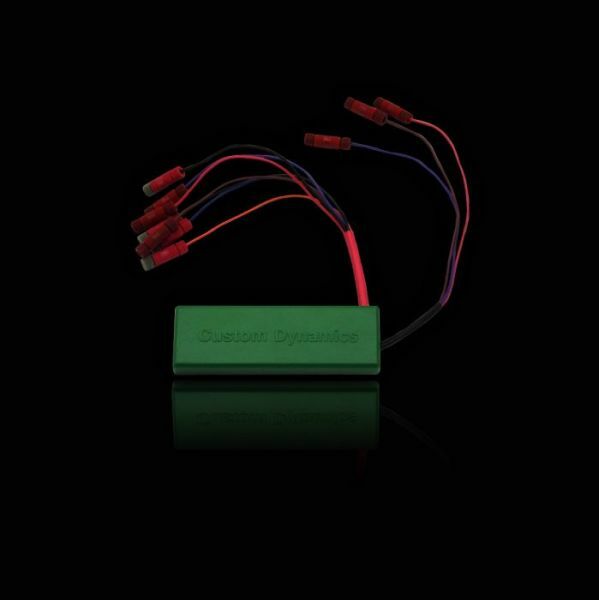 One load equalizer is typically needed for each pair of turn signals that are replaced. 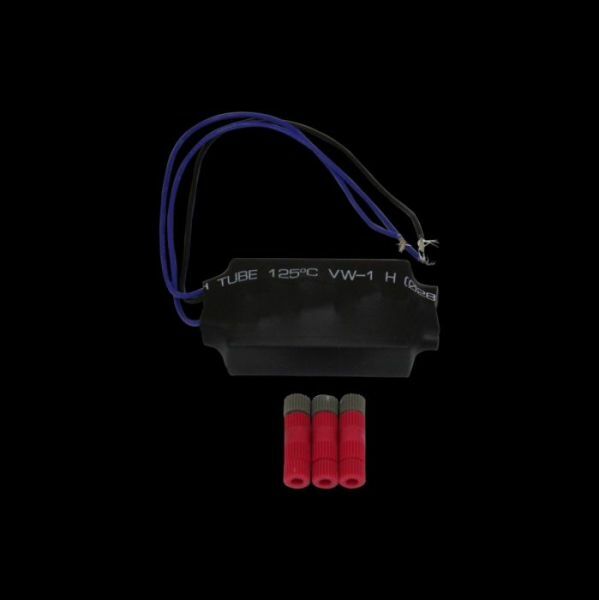 The load equalizer produces an equivalent load of a 7.5 ohms (1.9 amps @ 14VDC), therefore the unit will get hot and should not be used with four way hazards. Recommended for use on Metric models. Models with CanBus electrical systems do NOT require a Load Equalizer. 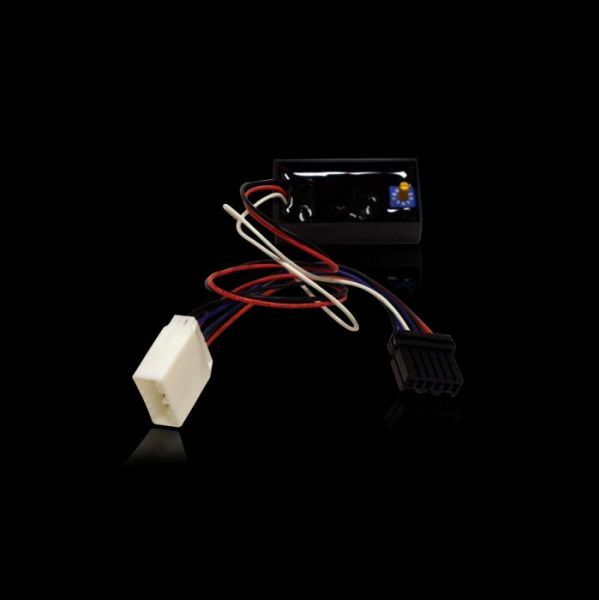 Our plug and play SMART Triple Play® module converts rear 1156 turn signals (models with a center taillight) to function as run, brake, and turn with choice of 10 user selectable built in brake light strobe/flash patterns (user can also select no strobe/flash on brake). 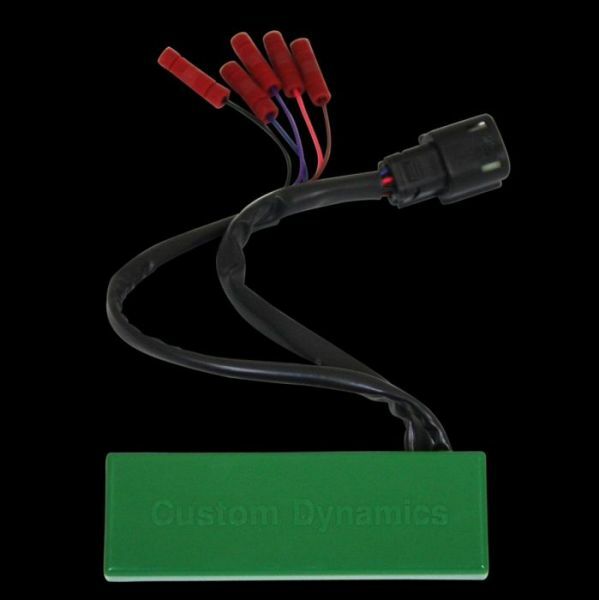 Additional functions include selectable running light intensities to match the running light brightness of turn signals to center taillight, ability to apply brake strobe/flash patterns to center taillight only, rear turns only, or rear turns and center taillight, and built in SMART function which allows normal turn signal flash to override the brake strobe/flash when simultaneously braking and turning. 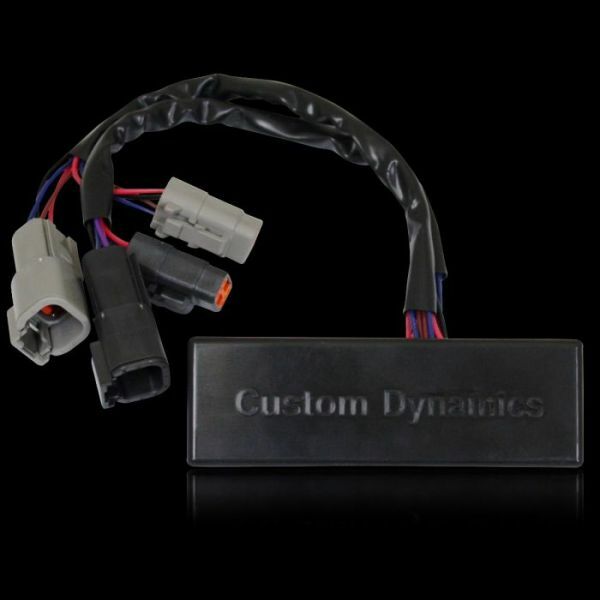 Plug and Play on 1999-2003 Harley-Davidson® Sportsters®, 1997-2011 Dynas® (Except 2009-2011 FXDB, 2010-2011 FXDWG), 1996-2010 Softtails® (Except 2008-2010 FXCWC, 2010 FLSTSE2), 1997-2013 Touring (Except 2010-2013 FLHX, 2010-2013 FLTRX, 2010-2012 FLHXSE2, 2012-2013 FLTRXSE, 2013 FLHRSE5, 2013 FXSBSE) Does Not Fit H-D™ Trikes. Additional Fitments also available. to red color for DOT compliance). 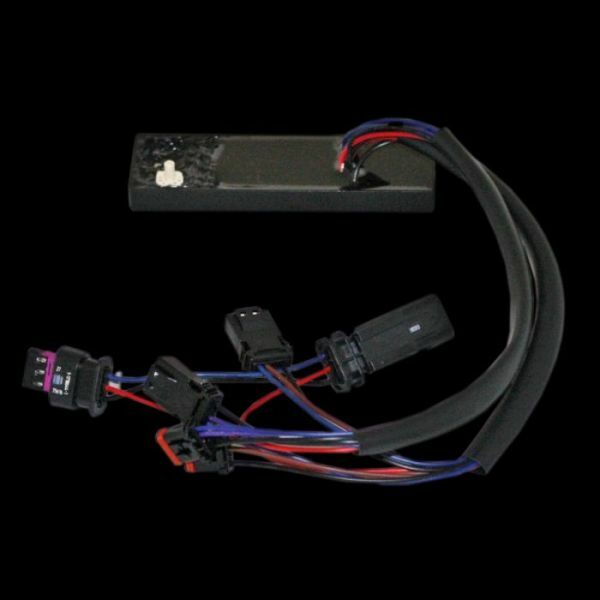 Our SMART Triple Play® module converts rear 1156/7507 turn signals (models with a center taillight) to function as run, brake, and turn with choice of 10 user selectable built in brake light strobe/flash patterns (user can also select no strobe/flash on brake). 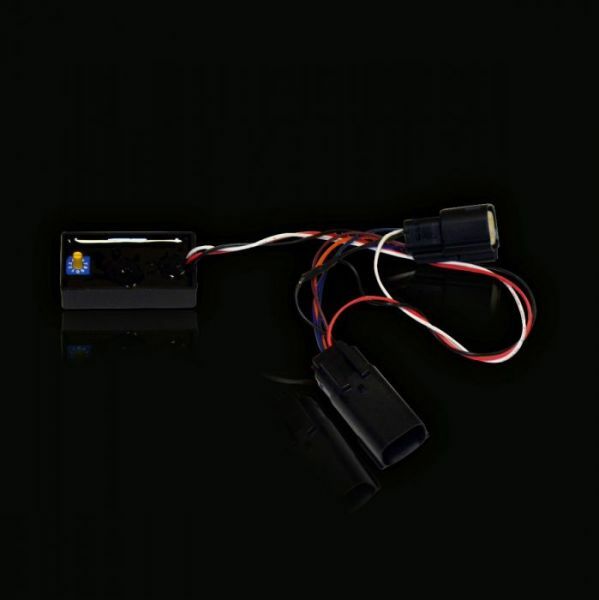 Additional functions include selectable running light intensities to match the running light brightness of turn signals to center taillight, ability to apply brake strobe/flash patterns to center taillight only, rear turns only, or rear turns and center taillight, and built in SMART function which allows normal turn signal flash to override the brake strobe/flash when simultaneously braking and turning. Included Posi-Lock® and Posi-Tap™ connectors aid in quick and simple installation. Additional Plug and Play Fitments also available. bulbs (rear turns must be converted to red color for DOT compliance). The use of this product may require a Signal Stabilizer™ or load equalizer (CanBus models including 2011-2018 Softail®, 2012-2017 Dyna®, 2014-2018 Touring, 2014-2018 Sportster® models do NOT require a Signal Stabilizer). Plug and Play on 2011-2017 Softails® (Except: FLFXCWC, FXS, FLS, FXSBSE) 2012-2017 Dynas® (Except: FXDB, FXDWG). (rear turns must be converted to red color for DOT compliance). Plug and Play on 2014-2018 Harley-Davidson® Road King® Standard, 2014-2015 Limited CVO™, 2015 Road Glide® Ultra CVO™. Additional Fitments also available. 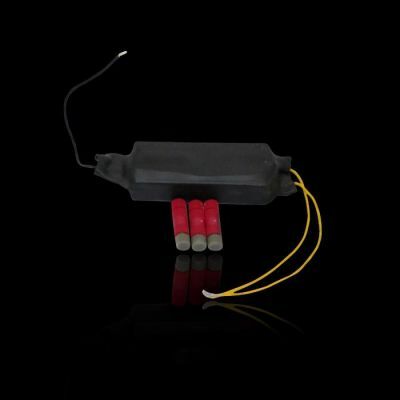 Works with Bullet Style or Flat Style Red LED Turn Signals or stock incandescent bulbs (rear turns must be converted to red color for DOT compliance). 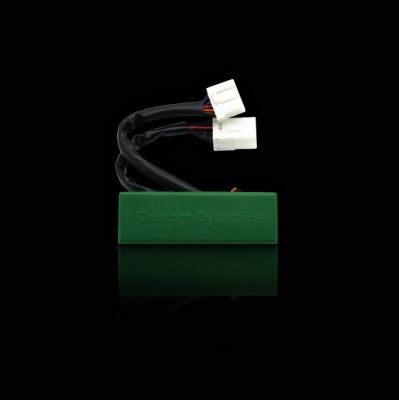 Plug and Play on 2004 - 2013 Harley-Davidson® Sportster® Models and 2010 Softail® Convertible. (Does Not Fit: XL1200N, XL1200X, XL1200V, XR1200X, XL883N). Additional fitment available for 1999-2003 Sportster® models and 2014-2018 Sportster® models. 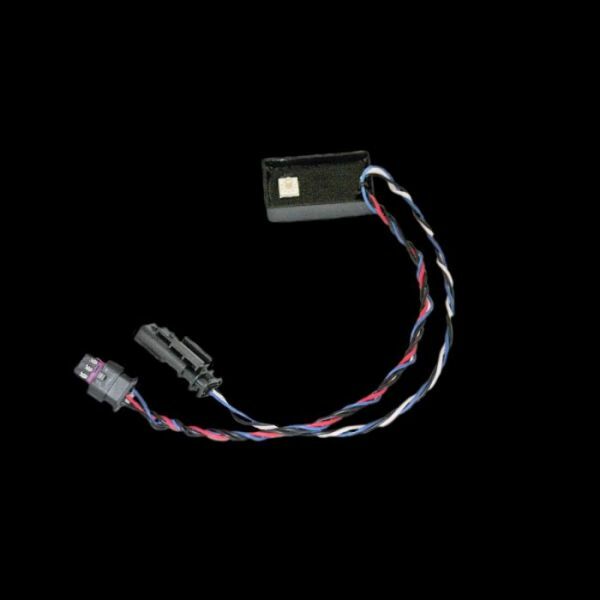 Works with Bullet Style Red LED Turn Signals or stock incandescent bulbs (rear turns must be converted to red color for DOT compliance). 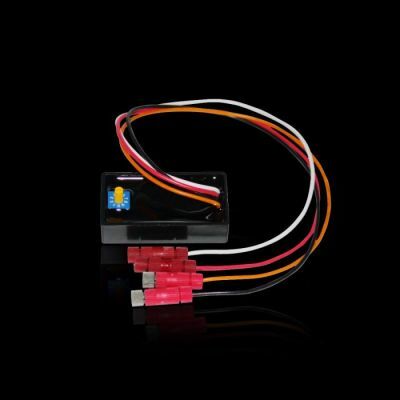 Our plug and play SMART Triple Play® module replaces the stock run, brake, turn module controlling the rear taillights to ultimately complete a full Tour Pak Conversion. Unit adds 10 user selectable brake light strobe/flash patterns (user can also select no strobe/flash on brake). Additional functions include selectable running light intensities and built in SMART function which allows normal turn signal flash to override the brake strobe/flash when simultaneously braking and turning. 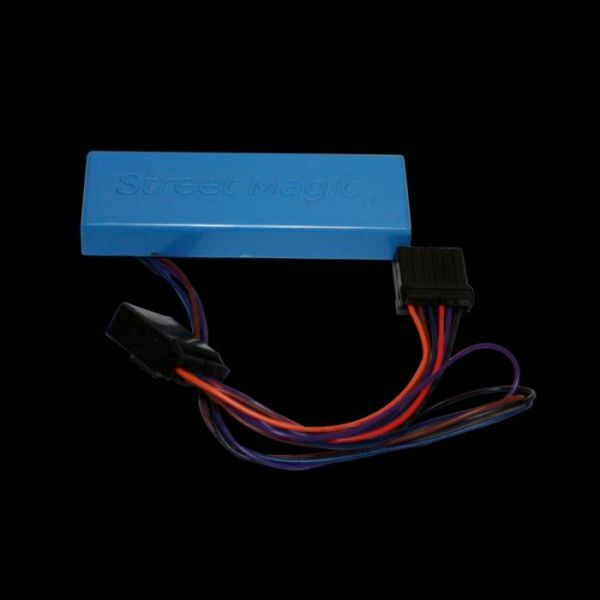 Works with Squareback or Laydown LED Taillights or stock incandescent bulbs. Plug and Play on 2014-2018 Harley-Davidson® Sportster® SuperLow® and 1200 Custom. Additional fitment available for 2004-2013 Sportster® models and 1999-2003 Sportster® models. Works with SS8 Bagz™ Saddle Bag Lights or any additional auxiliary rear LED lighting. 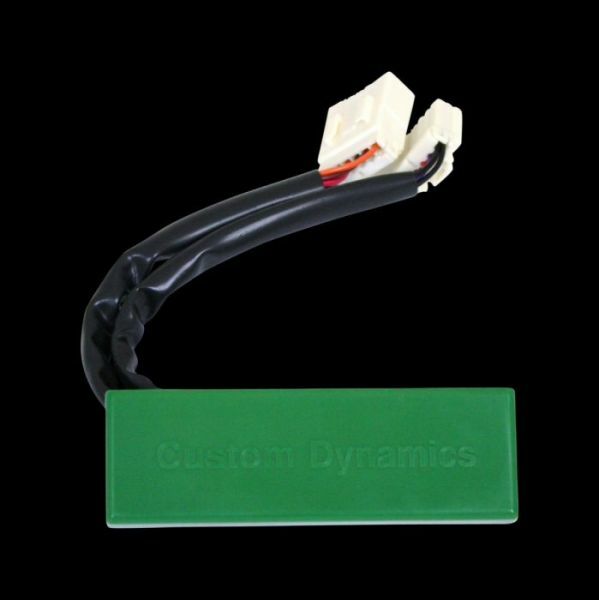 Our SMART Triple Play® module replaces the stock run, brake, turn module controlling the rear taillights when the stock OEM TriBar light has been removed for a custom fender application. Unit adds 10 user selectable brake light strobe/flash patterns (user can also select no strobe/flash on brake). Additional functions include selectable running light intensities and built in SMART function which allows normal turn signal flash to override the brake strobe/flash when simultaneously braking and turning. 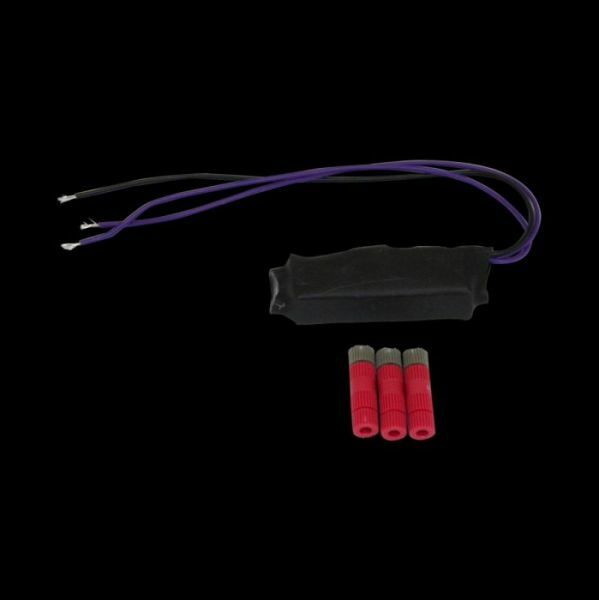 Simple installation with 6 pin connector for plug into forward part of stock wire harness with included Posi-Lock® connectors for rear lighting hookup. Fits 2010-2013 Street Glide® and Road Glide® Custom with the OEM TriBar light removed. For custom fender applications only. Does not fit CVO™ models. 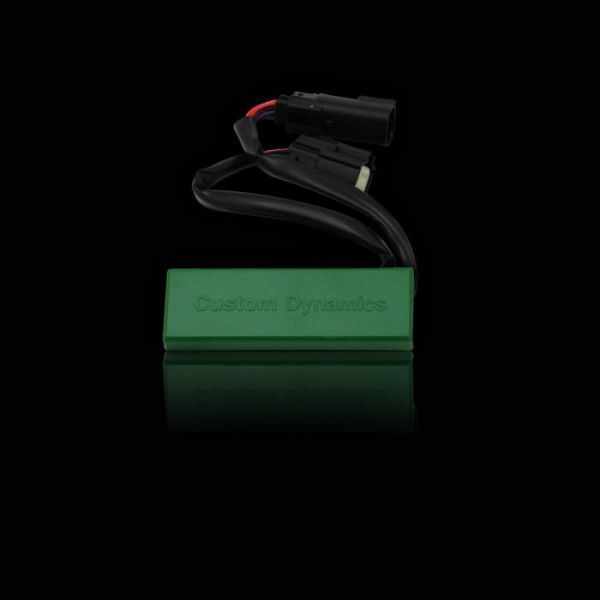 Custom Dynamics® alternatively offers a complete plug and play TriBar LEDreplacement. 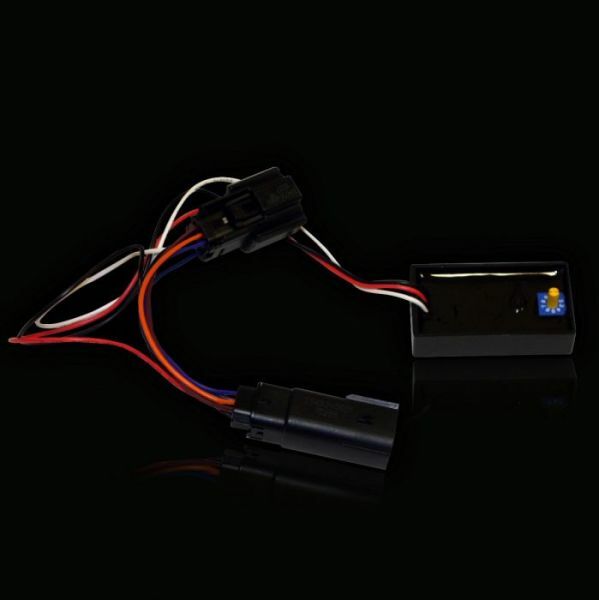 tHE plug and play SMART Triple Play® module converts rear 1156 turn signals (models with a center taillight) to function as run, brake, and turn with choice of 10 user selectable built in brake light strobe/flash patterns (user can also select no strobe/flash on brake). Additional functions include selectable running light intensities to match the running light brightness of turn signals to center taillight, ability to apply brake strobe/flash patterns to center taillight only, rear turns only, or rear turns and center taillight, and built in SMART function which allows normal turn signal flash to override the brake strobe/flash when simultaneously braking and turning.Utilize the more rapid strobe patterns by upgrading the center taillight to an LED Squareback or Laydown rear center taillight. Plug and Play on 2018 Harley-Davidson® Softail® Heritage Classic, Deluxe, and Low Rider®. applies brake flash/strobe patterns to Rear 1157 LED bullet style run, brake, and turn signals. Plug and Play installation on 2014-2018 Electra Glide® Ultra Classic®/Lo, Ultra Limited/Lo, Road Glide® Ultra and 2016 Road Glide Ultra CVO™ and 2016-2018 Limited CVO™ applies brake flash/strobe patterns to LED Squareback or Laydown rear center taillight (does not flash Tour-Pak). Unit also allows Fillerz™ to flash/strobe when functioning as Run/Brake/Turn. Alternatively use the original Magic Strobes™ BCM to flash only the center taillight. Use in conjunction with our Magic Strobes™ LTP2 to apply brake flash/strobe patterns to Tour-Pak. Riders can easily select from 10 flash/strobe patterns by simply spinning the dial on the Magic Strobes™ Brake Light Flasher module! It has a sleek design and compact dimensions: 4.2" x 1.4" x 0.6". flash/strobe pattern to stock rear brake light. Utilize the more rapid strobe patterns by upgrading the center taillight to a Squareback or Laydown rear center taillight. Slim, Slim-S, Breakout, and CVO™ Pro Street Breakout. Riders can easily select from 9 flash/strobe patterns by simply spinning the dial on the Magic Strobes™ Brake Light Flasher module! It has a sleek design and compact dimensions: 2.25" x 1.25” x 0.5". Plug and play installation on 2018 Harley-Davidson® Softail® Street Bob, Fat Bob, Breakout, Slim, and Fat Boy applies brake flash/strobe pattern to rear 1157 run, brake, turn signals when converted to LED. Use our Magic Strobes™ CAN for most 2011-2017 Softail® models. Magic Strobes™ BRK available for 2011-2017 Softail® Blackline, Slim, Slim-S, Breakout, and CVO™ Pro Street Breakout. Magic Strobes™ STTL available for 2018 Softail® Heritage Classic and Low Rider®. 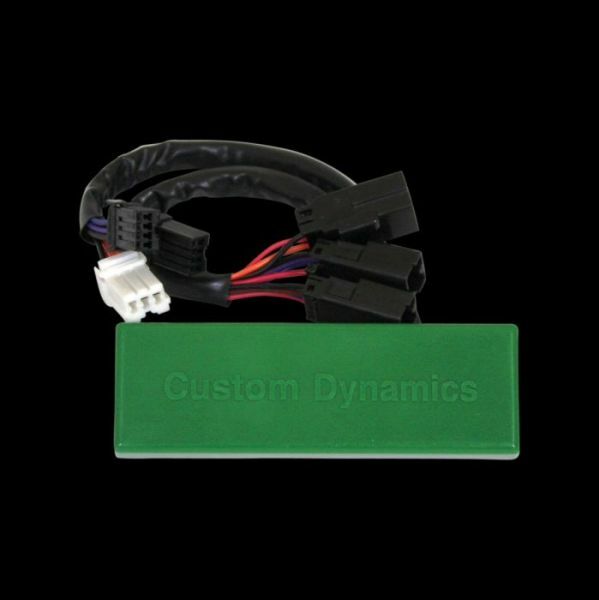 flash/strobe pattern to OEM LED panel run, brake, and turn signals. Plug and play installation on 2014-2018 Electra Glide® Ultra Classic®/Lo, Ultra Limited/Lo, Road Glide® Ultra and 2016 Road Glide Ultra CVO™ and 2016-2018 Limited CVO™ applies brake flash/strobe pattern to stock rear center taillight (does not flash Tour-Pak). Alternatively use the original Magic Strobes™ RSG to also flash/strobe Fillerz™ when functioning as Run/Brake/Turn. Use in conjunction with our Magic Strobes™ LTP2 to apply brake flash/strobe patterns to Tour-Pak. Utilize the more rapid strobe patterns by upgrading the center taillight to a LED Squareback or Laydown rear center taillight. Riders can easily select from 10 flash/strobe patterns by simply spinning the dial on the Magic Strobes™ Brake Light Flasher module! It has a sleek design and compact dimensions: 2.25" x 1.25” x 0.5". 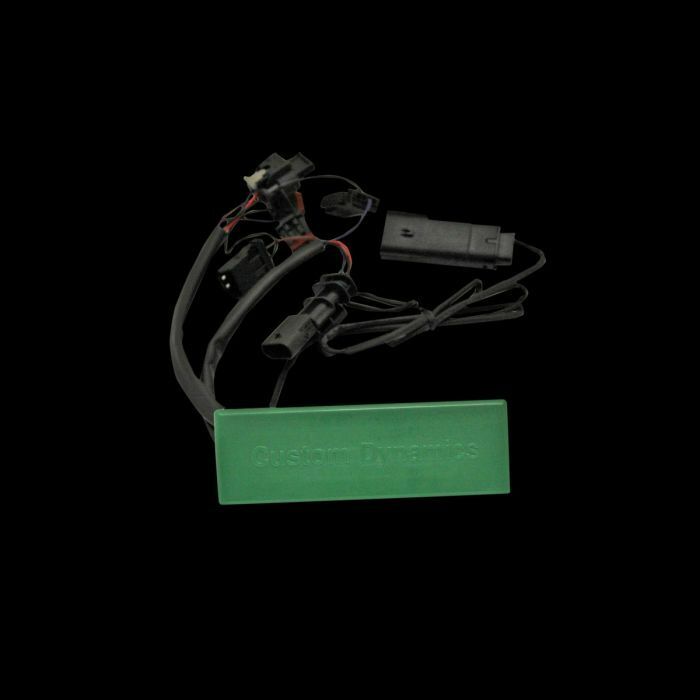 Touring (Except 2010-2013 Street Glide®, Road Glide® Custom), 1999-2003 Sportster®, 2010-2013 TriGlide®, and 2011-2013 Road Glide® Ultra Models applies brake flash/strobe pattern to stock rear brake lights (does not flash Tour-Pak). Riders can easily select from 10 flash/strobe patterns by simply spinning the dial on the Magic Strobes™ Brake Light Flasher module. design and compact dimensions: 2.25" x 1.25” x 0.5". 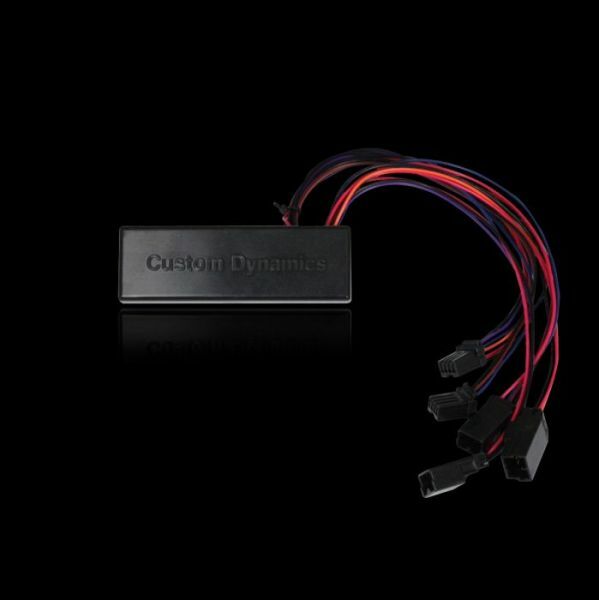 flash/strobe patterns to Custom Dynamics® Rear 1157 LED bullet style run, brake, and turn signals. 2012-2017 Dyna® Super Glide Custom, Fat Bob, Switchback, and Lo Rider with rear center taillight and 1156 turn signals. Flasher module! It has a sleek design and compact dimensions: 4.2" x 1.4" x 0.6". 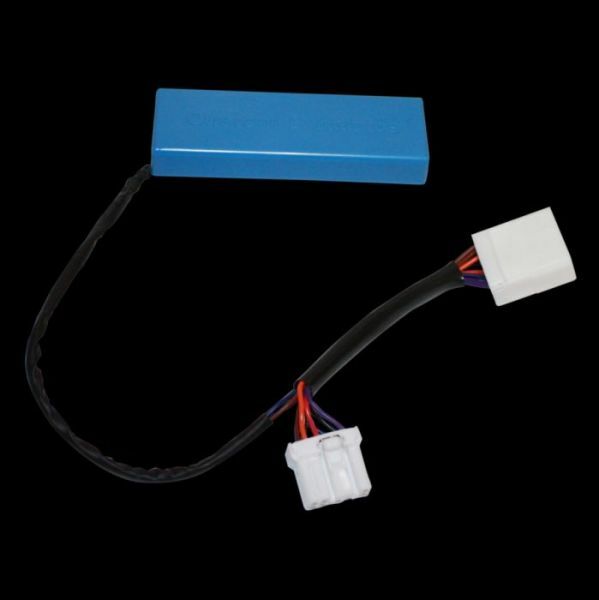 and install the Magic Brake Light Flasher with the enclosed Posi-Lock® and Posi-Tap™connectors. applies brake flash/strobe pattern to stock rear brake light. Blackline, Slim, Slim-S, Breakout, and CVO™ Pro Street Breakout. Light Flasher module! It has a sleek design and compact dimensions: 2.25" x 1.25” x 0.5". stock incandescent bulbs or upgrade to Rear 1157 LED bullet style run, brake, and turn signals. Street Glide® Special, Road Glide®, Road Glide® Special. a sleek design and compact dimensions: 2.25" X 1.25" X 0.5". rear center taillight and 1156 turn signals. 2016-2017 CVO™ Pro Street Breakout applies brake flash/strobe patterns to Rear 1157 LED bullet style run, brake, and turn signals. Light Flasher module! It has a sleek design and compact dimensions: 4.2" x 1.4" x 0.6". applies brake flash/strobe pattern to stock rear brake lights. or replace stock turn signals on models without a center taillight with Rear 1157 LED bullet style run, brake, and turn signals. 2014-2018 SuperLow®, SuperLow® 1200T, and 1200 Custom. Flasher module! It has a sleek design and compact dimensions: 2.25" x 1.25” x 0.5". 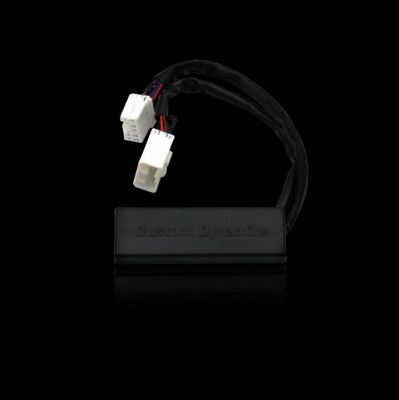 Custom CVO™ and 2013 Road King® CVO™ applies brake flash/strobe pattern to OEM LED panel run, brake, and turn signals..
Use a Magic Strobes™ SS6 for 2010-2013 Street Glide® and Road Glide® Custom (non-CVO). 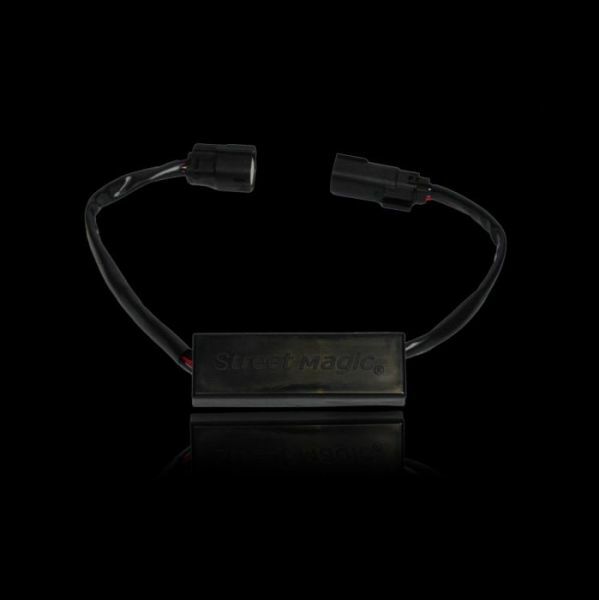 Magic Strobes™ HD available for 2006-2009 Street Glide® and Road Glide® Models. Use a Magic Strobes™ RSG for 2014-2018 Street Glide®, Street Glide® Special, Road Glide®, Road Glide® Special or use a Magic Strobes™ BCM for 2014-2018 Street Glide® CVO™, Road Glide® CVO™, and Road King® CVO™. It has a sleek design and compact dimensions: 2.25" X 1.25" X 0.5". flash/strobe pattern to stock rear brake lights. bullet style run, brake, and turn signals. 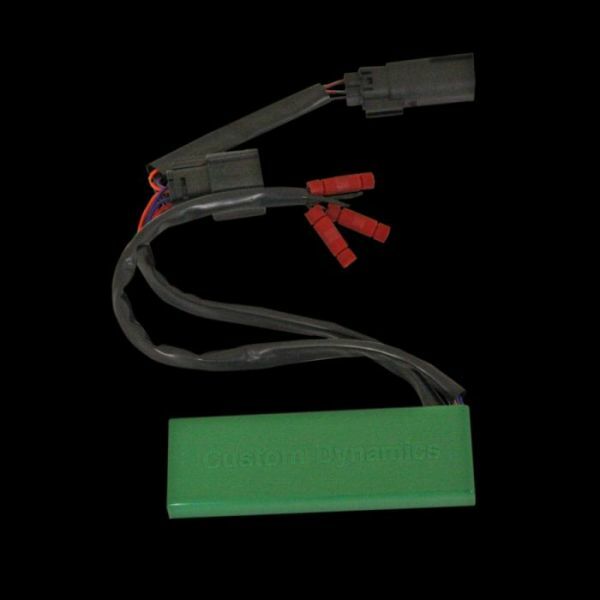 Simple four wire Posi-Lock® and Posi-Tap™ installation on all BMW models with single filament, 2 wire (ground & power) taillights. This unit can be used with LEDs or incandescent bulbs to significantly increase your visibility on the road. current and reverse wiring protection. Thermal and short circuit protection. 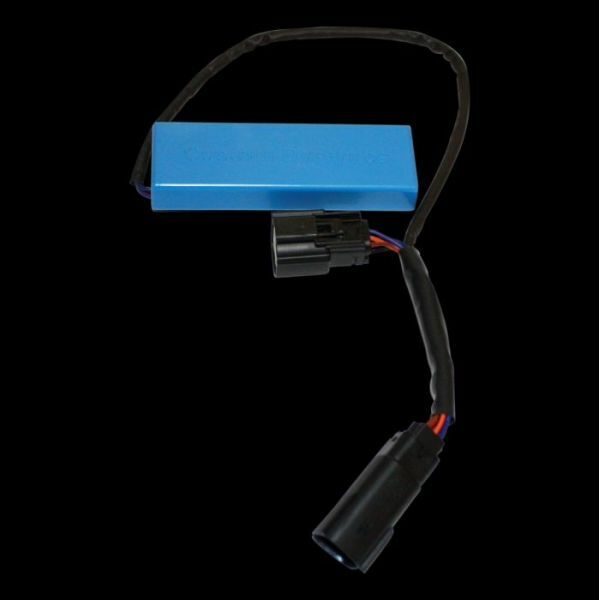 and Tri Glide® models applies brake flash/strobe patterns to rear facing run/brake Tour-Pak® lights. Does not fit OEM LED Tour-Pak® on CVO™ models. 5 Year Warranty. Utilize the more rapid strobe patterns by upgrading the stock incandescent bulbs to the Tour-Pak® LED Kit. Use in conjunction with a Magic Strobes™ HD to apply brake flash/strobe patterns to center taillight on the rear fender. corner LEDs to flash/strobe when functioning as Run/Brake/Turn. Riders can easily select from 10 flash/strobe patterns by simply spinning the dial on the Magic Strobes Brake Light Flasher™ module! apply brake flash/strobe patterns to rear fender brake lights. right sections of Tour-Pak LED to flash/strobe when brake is applied. 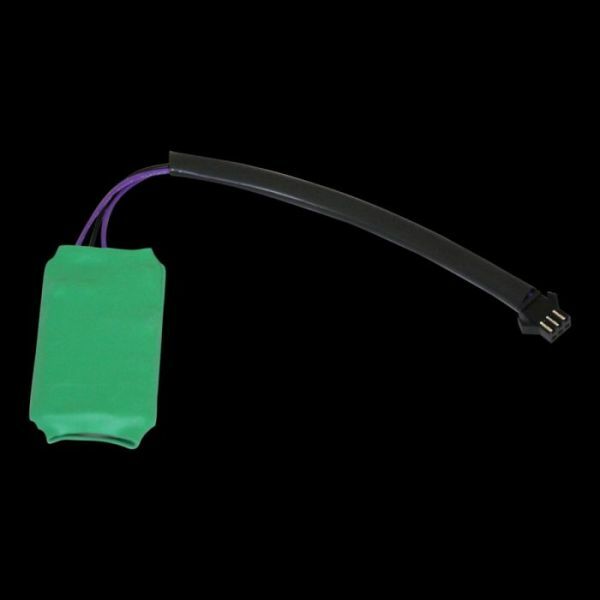 Plug and play installation on 2014-2018 Harley-Davidson® TriGlide® and 2015-2018 FreeWheeler® applies brake flash/strobe pattern to Squareback or Laydown rear run/brake/turn taillights (does not flash Tour-Pak). Use in conjunction with our Magic Strobes™ LTP2 to apply brake flash/strobe patterns to Tour-Pak.